Summer jobs mean different things to different people. For those who are well established in their careers, they are often a cherished memory illuminated by the balmy, sun-kissed glow of youthful endeavours. For those actually doing a summer job they are the provider of a bit of extra spending money, a way to top-up student living expenses, or simply a way to get out of the house over the long school or university holiday. While for many employers they are a cost effective way of either resourcing their businesses during one of their busiest times of the year, or simply covering for permanent staff who are wanting to take a vacation. However, whichever of these perspective you are looking from, for most people summer jobs would typically be defined as lower-skilled, flexible, and short-term. And the people filling these jobs thought of as transitory and relatively easy to replace. To an extent this can be valid. An employee on a six-week contract probably doesn’t have the same level of responsibility as a permanent member of staff. It’s also unlikely that such an employee would be first in the queue for staff training courses. But at a time when skills and labour shortages are beginning to bite, should employers be challenging these long-held assumptions? For example, if a bright local school pupil started working for your business in their summer holidays, you might be able to attract them back to your business four or five times before they start thinking about their long-term future career. That starts to be worth investing in. But what if they could then apply for an internship, an apprenticeship, or a graduate-level position with your business? Surely you would be missing a trick if you didn’t invest in the skills of an employee like that. And investment doesn’t necessarily mean additional expenditure. If you’re close to the shop floor you might give them some personal mentoring and guidance. They could spend some of their working time shadowing someone more senior. You could try them in a position with different tasks and responsibilities, and see how they get on. If they excel, you might even decide to give them some formal training to expand their role. And from their point of view, it takes what was “just a summer job” to a whole new level. What may have been simply a way to get some extra cash has become a way to get valuable work experience, develop new skills, and try out working in jobs and trades they might not have previously considered. These are things UKCES has shown to be vital for young people looking for work, and they can lead to sustained, long-term success. At McDonald’s in the UK, for example, 95% of our Restaurant Managers and a significant number of our Executive team and Franchisees started with us as Crew members – many of them in part-time student roles. So I believe that the time has come for businesses to look at the staff they are employing in summer jobs in a whole new way. Because if we don’t, we might be missing out on our next generation of talent! This month UKCES are focussing on the hidden potential of people on flexible contracts. In particular we’re talking about the hidden heroes in your place of work, and the valuable skills and talents of summer workers. 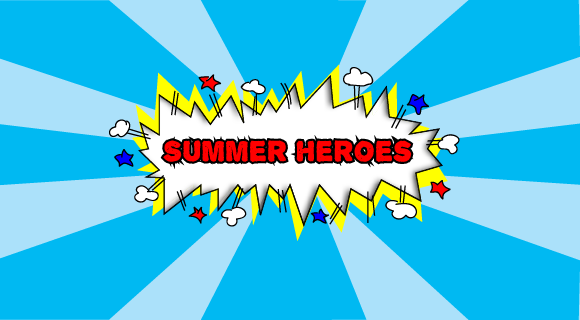 This week we’ll be asking Twitter users to tell us about the superhero skills of summer workers in their workplace – follow @ukces for more, and share your views using #SummerHeroes.